Printing temperature for flex ink? I am working with the Flex conductive ink. My doubt is what temperature must have the ink for doing the printing? For example, with a flow of 10 no come out enough ink, so I increase the flow to 12 and is come out much flow, only at the end of the calibration patron, then I use those parameters for print my design and no comes out enough ink. I am thinking that is because of the viscosity of the ink, which depends on the temperature. Has anybody any idea of the ink ideal temperature to print? Or how much time the ink must be outside of the refrigerator before using it? Sorry to hear you’re running into issues. Based on the fact you’re using flex and a non-standard substrate my first inclination would be to check if during probing the substrate is deflecting at all. With any flexible substrate it’s very important that it not move on any axis during probing. If the height map of the board isn’t accurate you’re likely to see either results like those above or crashed nozzles. In cases like this I’d always recommend going back to basics and trying to print the same thing on a normal FR4 board to see if the poor print persists. Alliteration aside, I believe we’ve sorted this one through our in-app chat and diagnosed it as a failed wiring harness powering the dispensing gear. This is definitely not the first thing I’d have assumed given the images above. In answer the the questions posed though I usually let me ink sit for 5 or 10 minutes before printing. It’s also important to note that the ink flow values in the software that are adjusted with the +/- buttons only change the start position of the dispensing gear before dispensing. This feature functions as a high precision priming tool. 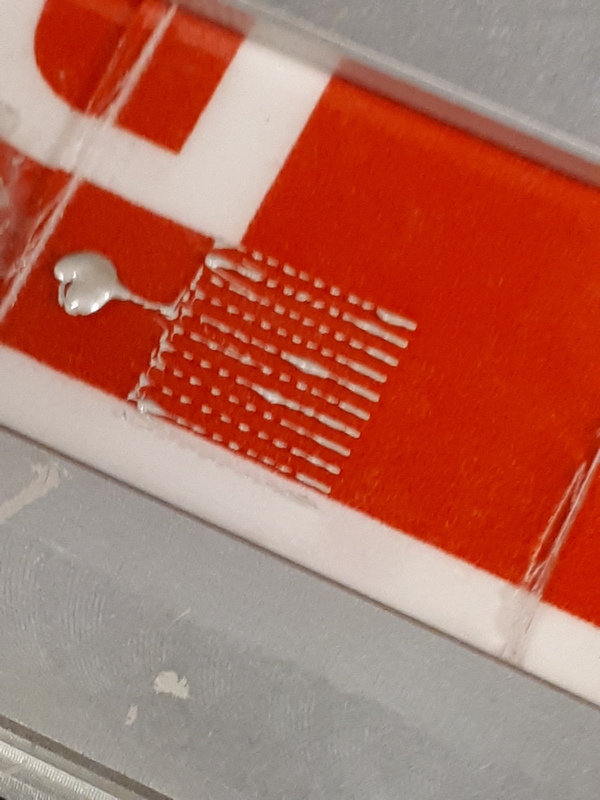 It allows the user to make micro-corrections to the priming they did earlier as it can be very tricky to get a perfect prime completely by hand.